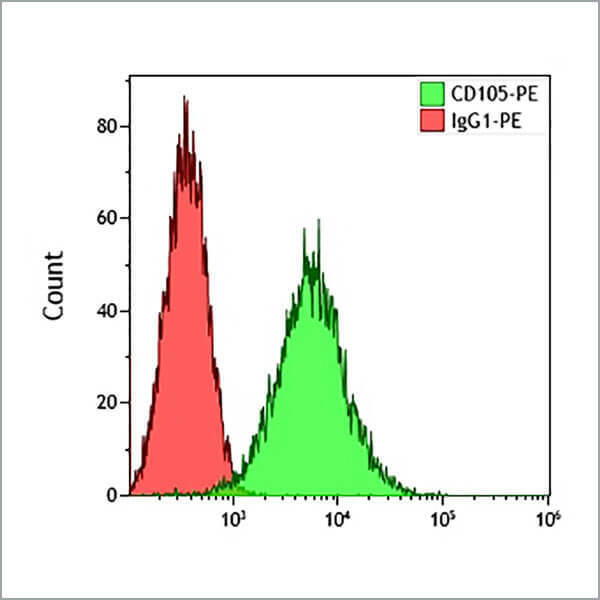 The CD105 antigen is a 170-180 kDa RGD-containing molecule which is present on the cell surface as a disulphide-linked homodimer. The molecule is a co-receptor for TGFβ1 and β3. It is expressed mainly on endothelial cells, but also strongly in pre-B lymphocytes and in a subpopulation of monocytes.